Frederick A. Murphy and Thomas G. Ksiazek, both professors at the University of Texas Medical Branch, have been recognized by global experts who study the deadliest infectious diseases with a Lifetime Achievement Award, at the 6th annual International Symposium on Filoviruses. 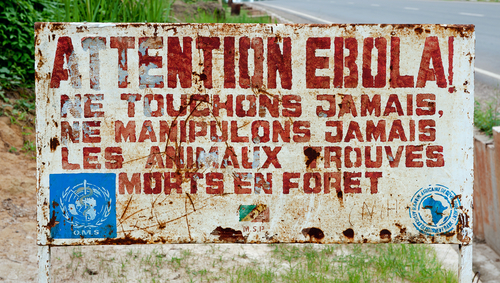 The filoviruses include Ebola and Marburg viruses, both of which cause death in 50 to 90 percent of people infected. 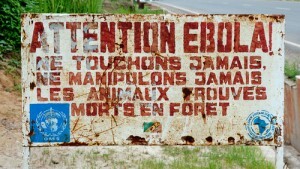 The current outbreak of Ebola virus raging in West Africa has led to more than 100 deaths so far this year. Dr. Murphy, a professor of pathology and a member of the Institute for Human Infections and Immunity at the Center for Biodefense and Emerging infectious Diseases, the Galveston National Laboratory, and the McLaughlin Endowment for Infection and Immunity, were the co-discoverers of this group of deadly viruses, and prepared the first electron micrograph showing the curled thread-like image of the virus particles that characterize the filoviruses. Ksiazek, director of high containment operations for the Galveston National Laboratory, has personally led the Centers for Disease Control and Prevention’s on-site response to virtually every Ebola or Marburg outbreak that has occurred in Africa since the 1995 Kikwit outbreak in the Democratic Republic of the Congo. Together, they provided critical insights about the viruses and how to control the devastating outbreaks that they cause. Prior to Murphy’s arrival at UTMB, in 2005, he served in a number of prominent positions at the CDC, concluding his career as director of the National Center for Infectious Diseases. One of his unique contributions to infectious disease research and public awareness are a series of images of deadly viruses such as Ebola and Marburg, taken at the cellular level using electron microscopy. Ksiazek also directs the National Biodefense Training Center, which provides researchers in the United States and around the world with the skills necessary to work safely with deadly pathogens in high-containment laboratories. Before he came to UTMB, in 2008, he was chief of the Special Pathogens Branch at the CDC, where he coordinated outbreak and control responses to especially dangerous pathogens such as Ebola, Marburg, Rift Valley fever, Nipah and SARS viruses. 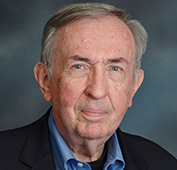 Ksiazek has been extensively involved for decades in outbreak response and pathogen discovery, such as the reemergence of H1N1 in 1977 in Asia and the Hantavirus Pulmonary syndrome and Sin Nombre virus in 1993 in the U.S. Southwest, for which he received a national service award for his work from the U.S. Department of Health and Human Services. He is also co-discoverer of the SARS virus. Since 2000, the International Symposium on Filoviruses has periodically brought together experts from around the world to discuss advances in the diagnosis, treatment, prevention and control of Ebola and Marburg viruses. Filoviruses are transmitted by close contact between infected patients and caregivers. Health care workers are frequently the ones at greatest risk of infection, since they often start in rural hospitals or clinics, and many doctors and nurses treating these patients have themselves succumbed to these deadly viruses. Outbreaks are controlled through strict isolation of patients. There is no effective treatment or vaccine to prevent infection. UTMB researchers, however, are working to develop and test new vaccines and broad spectrum treatments of these highly lethal hemorrhagic fever viruses. Thomas Geisbert, a professor in UTMB’s Department of Microbiology and Immunology and a member of the Institute for Human Infections and Immunity and Galveston National Laboratory, recently received a $26 million collaborative Center of Excellence for Translational Research grant supported by the National Institute of Allergy and Infectious Diseases, part of the National Institutes of Health, to further this research. Geisbert will collaborate with John H. Eldridge of Profectus Biosciences, Ian MacLachlan of Tekmira Pharmaceuticals Corporation, James E. Crowe Jr. of Vanderbilt University Medical Center and Alexander Bukreyev of UTMB.